A recent article came out lately that said 3D printing marketplaces like the Shapeways won’t last. That not only does a disservice to Shapeways but the whole 3D printing industry as well. The truth is Shapeways 3D Printing Market offers tremendous value. 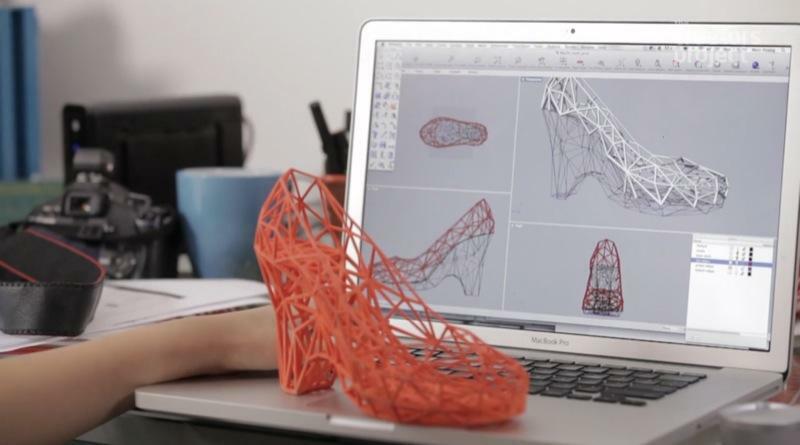 It is a destination for consumers to shop for 3D printed goods or products. It’s a place where creators can put their 3D print models up and offer them for sale. The reality is it doesn’t matter if we have a place to put up our designs and sell them, unless there is a large audience of site visitors, viewers, shoppers who are going to continue to be driven there. However, if the products are useful and meeting some need or desire those consumers have, then it would become a destination for people to shop. I’m bothered by an article that I read online that came out that does a disservice to the 3D printing industry. I wanted to talk about that. It’s an article titled 3D Printing Marketplaces Like “Shapeways” Won’t Last. First of all, that’s a clickbait-y title of an article. It’s designed to jump out at you if you get an email from an aggregator or if you happened to scroll past it in one of your social media feeds. It’s going to get your attention and get you to click, which is unfortunately what their primary goal was in writing this article. I have some fundamental differences of opinion with the premise of the article. That’s what I want to talk about. What this article does is tries to educate the user on what Shapeways is, how it started and also gives an abbreviated history of 3D printing starting back as early as the late ‘70s all the way to four or five years ago in terms of their bullet-pointed history. It’s very brief and they admit that. I don’t take issue with how they talk about that in the article. Their basic premises saying that because everyone is going to either have their own 3D printers available to them that they’ve purchased in their business or in their garage or that you can go to a local makerspace and use pretty much anything you want that Shapeways’ days are numbered, that they’re not going to exist. That’s an incredibly ill-informed and unrealistic view of a company like Shapeways and the value it provides. Don’t get me wrong. We have been quite critical on this show of Shapeways as a marketplace, meaning a destination for consumers to shop for 3D printed goods or products. I do think that that aspect of their existing website and business model is flawed. It’s preaching to the converted, to the people that are in the 3D printing industry, like most of you in our audience and like me that know the reality of what it takes to create a 3D printed model and put it up there. Also how hard it is to appeal to a consumer-base who doesn’t understand 3D printing, doesn’t even know that Shapeways exists as a marketplace that you could shop for products. Shapeways has not done anything to draw in a general consumer base to Shapeways for shopping. It’s not a shopping site. They want it to be, they say it is. They would probably argue with me that in fact it is a shopping site. What I mean by that statement is that in reality this site is much more for the creator. It’s trying to be a place where creators like me and a lot of you can put their 3D print models up there and offer them for sale and get paid for them. That’s great, that was one big step in a good direction in the past. The reality is it doesn’t matter if we have a place to put up our designs and sell them, unless there is a large audience of site visitors, viewers, shoppers who are going to continue to be driven there. If the products are useful, meeting some need or desire those consumers have, then it would become a destination for people to shop. It’s really not that. 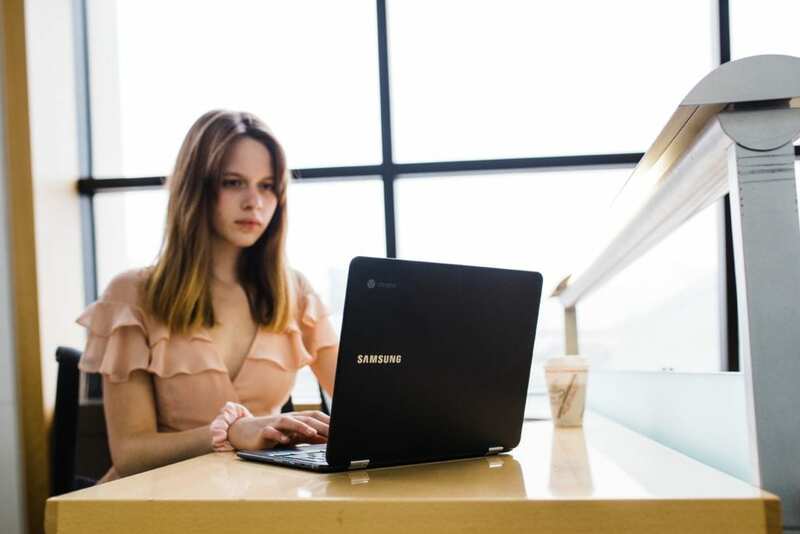 The way that you shop for things online today and the way that you find things, it’s very much incumbent on the site visitor to search for specifically what they’re looking for. That’s not how most people shop. It is becoming more and more that way with the popularity and success of Amazon. Even on Amazon, you have to know what you’re looking for and start searching on criteria in order for things to be served up to you. It’s not like you’re walking through a marketplace, whether that’s a mall in the United States or almost the equivalent of walking down Main Street in a town that still has shops there, and you happen upon things that you weren’t necessarily hunting for. Until the shopping experience online becomes a different experience, whether it’s based on the time of year, the holiday season or some other events or that you’re served up ideas for gifts. You’re not just asked, “What do you want?” because a lot of people don’t know what they want. People often have to be shown things, given ideas and then they get excited about it. Even if they don’t want to buy that, that may bring ideas up in their mind that then they want to look for something a little different. Shapeways 3D Printing Market: People often have to be shown things, given ideas and then they get excited about it. Anyway, the actual point of this episode is not to talk about as much the shopping experience in that marketplace. This is just a footnote where Shapeways is not that marketplace and it would have to go through a lot of changes and reinvent that part of its business for that to be successful. We can debate that and I’m happy to have that discussion to entertain any comments you all might have, either on social media @3DStartPoint or on the comments for the blog post to this episode on 3DStartPoint.com. For now, put that to the side and get back to where Shapeways offers tremendous value. I don’t believe the whole notion that Shapeways won’t last the premise of this article. I don’t buy that at all. They have provided an incredibly comprehensive offering of different materials and finishes that you can have 3D print parts or products made in, there’s very few other places that equal everything they can do. There are some that come close. Certainly there’s Sculpteo is another big competitor of theirs. There’s WhiteClouds and then you get down to other ones that are strictly FFF like Slant 3D and Voodoo Manufacturing. Obviously you get way down to the 3D Hubs that’s more of a distributed, it’s not user generated so it’s not quite YouTube, but it’s definitely not centralized and controlled. There’s a lot less consistency in what you can get there, but certainly a lot of variety with different machines available where you can order parts. Shapeways to me, and I’ve tried all of these, although I haven’t tried Slant 3D yet which I plan to do soon. Pretty much all of these different ones that I’ve mentioned, I’ve personally tried because I have parts made all the time in different materials. Even if it’s materials I can print, I need a larger quantity than I can make in a given time. There may be a number of reasons why I do it, but I’ve tried all of them. Shapeways has the most comprehensive offering of materials and processes and most importantly finishes. They are secondary operations for them a lot of the time. For instance, if you have a part made in powder bed fusion in this nylon powder material, they have all these different colors they offer where they dye the parts in the secondary operation and they’ve created this palette of colors that you can order parts in and get quotes on right from the get-go. It’s a well-dialed in offering and process where I find it predictable when you order something there, you’re going to get what you expected to get. This is not going to be replaced anytime soon by your local makerspace. Most of these makerspaces have a great mission and I applaud them and I like a lot of what they have. When it comes to 3D printing or laser cutting, most of them have one machine or two machines, or they have a dozen machines but they’re all fused filament fabrication, FDM machines. You can’t get powder bed fusion parts and you can’t get different resins other than filament you can buy. You can’t get metals or you can’t get the sandstone full color because these makerspaces can’t afford to invest in enough of these real commercial machines. Even though the prices on commercial machines are coming down, I don’t buy it. This article tries to make an example of saying, as Shapeways is shifting more, and I agree they are. They claim Shapeways is shifting more towards operating like a third party platform. It’s saying others are going to go right to the source. They use an example Glowforge, which is a company we’ve all heard about that makes these small scale 3D laser cutting machines. They call them laser printing but in reality it’s laser cutting. They’ve had an incredibly successful crowdfunding campaign for one of their products. They say Glowforge is an example of a company that cuts out the middleman that companies, like Shapeways, represent. I just don’t buy that. In order for Shapeways to become extinct, every makerspace in every city or region around the country would have to invest in dozens of machines, have incredibly high costs and people to operate them because they’re not going to let individuals at a makerspace operate them all. It would take so much training. Still the cost of some of the Glowforge products, they range from $2,500 to starting cost $2,500 to $6,000 and then go up from there. Your average person isn’t going to invest in a whole lot of machines like that in order to have all the capability themselves. This really bothered me as this article says, “Will Shapeways be extinct by 2025?” To me it’s an absurd question and it’s meant to provoke all of us that actually know something about it or to people that don’t know enough about it and are trying to learn. It’s providing I would say not very useful information and leading people down an unrealistic path. I don’t understand why they would do this, other than again for clickbait, to get us to all click it and see some ads on the page here with this article. In reality, the only the thing this is going to do is hurt the market impression of Shapeways, of people that aren’t in the know. If they read this and are not well-informed in the industry, they’re going to have a perhaps negative opinion or be concerned about Shapeways. Lots of companies have invested a lot of money in Shapeways and what’s that going to do except hurt the investor confidence in what they’ve invested in in Shapeways. Don’t get me wrong guys, Shapeways isn’t paying me anything here. We’ve never had them as a sponsor. I’m just giving you my actual opinion here. As I read through this, I’m like, “This writer is ill-informed or hasn’t done a whole lot of research or perhaps is not even in the industry very much.” It’s shocking to me and really just was a waste of my time to read this article except that it gave me a good subject to help share with all of you. I guess I would warn you to take what this article says with a large grain of salt. Shapeways 3D Printing Market: Shapeways’ quality on a lot of these parts is of a finished quality that a consumer wouldn’t even realize is 3D printed unless they were told. I don’t see that makerspaces are going to do anything in post-processing capabilities like having dyes available to dye parts and to be able to in a predictable manner produce the same quality of parts that you can get. I don’t care if you’re making one or you’re making 100 or 1,000 of something. I use Shapeways too to get parts of one made in different materials than I can print here. In realistic finishes, the great part about the finishing, and I think this is one of the smartest things that Shapeways did, is establish a range of colors. You can order parts in and some of their materials and it’s limited, yes, but there’s certainly a larger variety of colors available than pretty much any other service bureau that I’ve seen anyway. That’s a really important thing because when I’m making a prototype part for a client, when I’m developing a product and my client often wants to have 3D print parts made in a limited run, maybe 500 pieces of 1,000 at most before having to pay to tool for something at an injection mold factory to make the part until they can run the short run. They can do three or four different designs, doesn’t matter how many they want to put out there, maybe on Amazon, and do a real world market test and get feedback. “This design sold in two weeks and this other design it took a lot longer. It took maybe five weeks to sell through.” We know which ones are the most popular and which ones would sell faster and we can decide, “We’re only going to go to market with the first one, the best design.” Because this experience, we have reason to believe we’ll be able to sell through a quantity of 5,000 pieces in 60 days and now you can go and tool for the one part and make it. The thing is, Shapeways’ quality on a lot of these parts is of a finished quality that a consumer wouldn’t even realize is 3D printed unless they were told. It’s professional quality that they’re going to think it’s the way the part was meant to be. You can come close to duplicating that quality and color in production in other process when you go into manufacturing larger volumes. To me, Shapeways and a lot of the other service bureaus like them, i.materialise are also there another one that offers and has done a really good job, like Sculpteo of providing a lot of different processes, materials and finishes that are available. It’s a practical resource to use for yes, prototype, but also short run production and I don’t see it being duplicated because people are going to get 3D printers in their homes and in their businesses or in makerspaces. To me that’s somebody who is saying that who buys into that concept without doing a lot of digging or doesn’t have a lot of experience in it themselves. I know many of you in our audience for a long time probably have a similar opinion whether you agree with me or not. Certainly I think you would agree that no one is going to get all these machines in their home and makerspaces, except for maybe very few, if any, are going to have all the kinds of machines and processes available it would render something like Shapeways obsolete. It’s absurd. I thought this article does a real disservice to the industry in belittling it and there’s a different reason people are buying 3D printers and having them in their homes and having them in their businesses. It is not to be able to produce the same level of quality as a service bureau. It is to be able to develop things and make them right here in your own hands, iterate, work through them, work through all the issues, the engineering issues, the design issues, and then when you get that dialed in, then go out and have it made somewhere else. Whether that’s at a 3D print service bureau or it’s having it made in a more traditional manufacturing process for production. That’s the whole point. In my mind, Shapeways has realized, if you read a lot about their evolution in the last couple of years, that their marketplace, that I talked about and put in the parking lot to the side there toward the beginning of this episode, is not setting the world on fire in terms of a successful marketplace. I’d agree with that and that’s a whole another debate for another episode or another discussion that we can have about what would make a marketplace in 3D printing work. I’d love to figure that out because I’d to participate in that marketplace. In terms of a third party service bureau, I don’t see them being a middleman that gets cut out of the process anytime soon. They’re offering a great value. They’re making the heavy investment in these commercial machines and not many other places are going to do that. They may do it in niches. If you have a business and you want to go and make a specific kind of widget, let’s say it’s a promotional product. Like advertising specialty industry, that’s what it’s referred to. For people that don’t know that industry, if you have a company and you want to go online and order one of the most common things is pens. You want to order pens printed with your company logo on it. You would go to a company that makes what they call advertising specialties and they offer catalogs of hundreds of different products that they can custom print your logo on. 3D printing is offering a lot of new opportunities for that industry. If you were that type of company and you had one particular product line, or at least you would start with only one, I’m sure then you would expand it into others. You could 3D print a customized version of this little widget type product to freebie giveaway at a trade show or something that has a logo on it. That isn’t just printed but it’s three dimensional and it’s color if you used the sandstone color printing process or one of the new HP commercial printers. 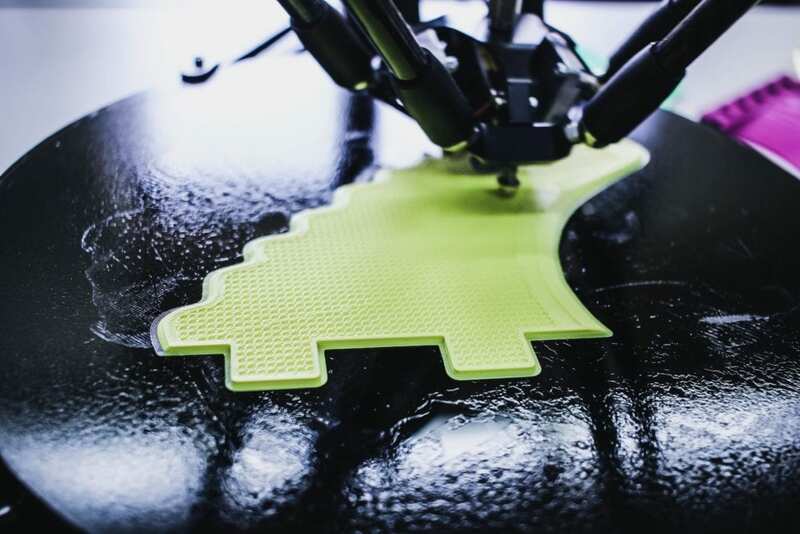 I could see companies getting vertical in one particular kind of 3D print manufacturing and cut out the middleman in order to reduce their costs and be profitable on that. It would still be in one type of 3D print manufacturing, not across the board, all the variety of different things. If you’re an engineer or a designer and you want to have prototypes made or short runs for testing, these companies are exactly where you would go and need to go. You’re not going to waste your time going to find a makerspace to see if they have all the different machines you might want to use in this project. They’re completely different kinds of consumers, makers or artists that go to makerspaces to do a whole lot more than 3D printing and then also may use the 3D printers there versus more professionals that these service bureaus are providing a tremendous value for. 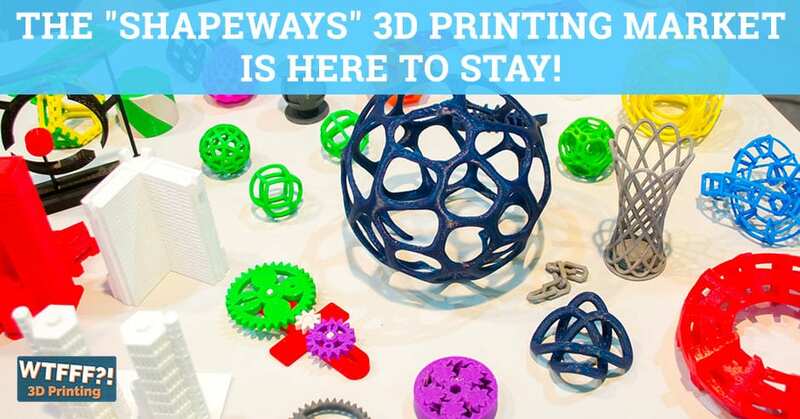 Shapeways 3D Printing Market: We’re trying to provide you valuable information and be a resource to help you shortcut the learning curve through your 3D printing journey. What we’re trying to do here at WTFFF is to provide you, our audience, with interesting subjects to listen to, great guests from time to time, but bring you subjects of real value and interest to you that are going to help you in your journey in 3D printing. Maybe that’s an educational journey, maybe it’s a professional journey, maybe it’s just a casual interest but provide you useful stuff in the podcast and on our website. I felt this article does a disservice to you as a reader, listener and individual with interest in this industry and that’s disappointing to me. I hope that none of you feel like we are just providing you things to try and get you to click and come to our site. We’re trying to provide you valuable information and be a resource to help you shortcut the learning curve through your 3D printing journey. At least that was the mission we set out on. We pivot from time to time as to some of the things we cover and how we do it. We’re also finding things that are of interest to us because I don’t want to be offering you something that I’m not interested in because you’ll see right through that. We’re trying to be real and genuine here. I hope you all enjoy the content we’re providing and continue to do so. If any of you have some subjects you’d like us to take on, please write into us. You can leave a comment on the blog post at 3DStartPoint.com. You can reach out to us anywhere on social media @3DStartPoint, especially Facebook is probably the most utilized social media platform that we’re on these days and we’ll probably see that the fastest. Let us know if there are any subjects you’d like to hear. Check out this article yourself and let me know what you think. Even if you disagree with me, always happy to have a civil debate or discussion about these things. If you think I missed a point or a perspective, I’d love to hear about it. That’s it for now. Look forward to talking to you next time. This has been Tom on the WTFFF 3D Printing Podcast.